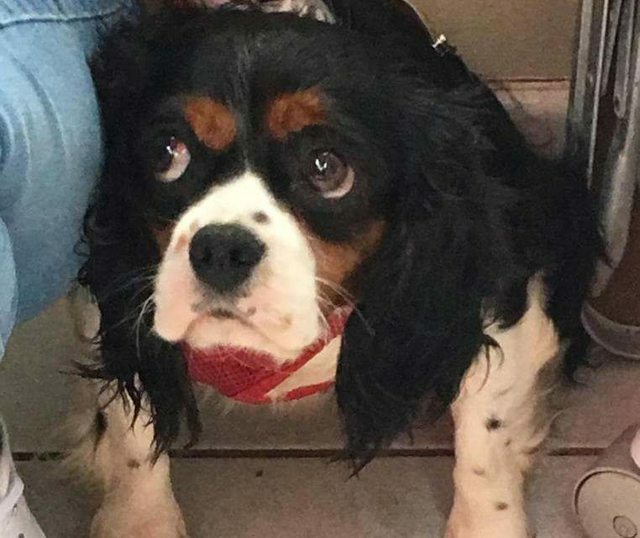 Pie is a 4 year old female Cavalier King Charles Spaniel. 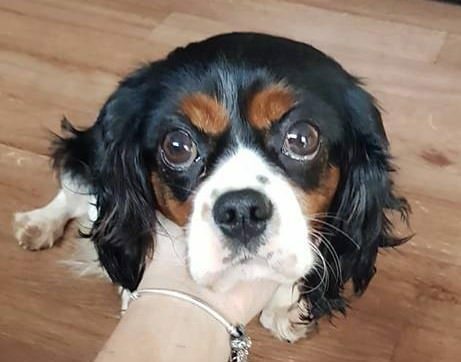 Pie is an ex-puppy farm girl aged around 4 years, who is being fostered in RCT, South Wales. She is extremely nervous and unsure of herself. She has come a long way in a short time and relaxes well with her humans albeit she has a preference for mummy. She likes to be with company most of the time but this will change as she becomes more and more confident. 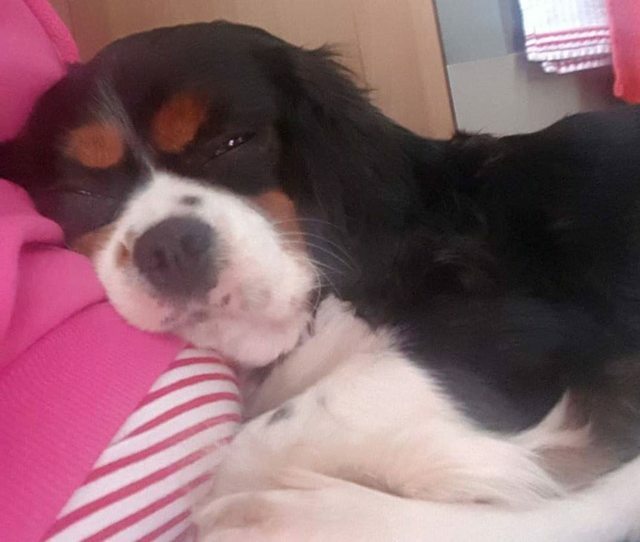 She has a wonderful Cavalier nature and likes nothing better than cuddling with mum. Pie is nervous of new people and may well try and hide. Once she gets to know you she is happy to be fussed and stroked. Little children will be too much for her at this stage. Pie needs a calm resident dog to teach her how to become part of a family. She is showing signs of play with other dogs but has not quite made the leap. Pie has not been tested with cats. Pie is working on her house training and is nearly there She has not shown any signs of being destructive but she is becoming more inquisitive as she gains confidence. Pie is nervous on a lead so further training will be required in this area. 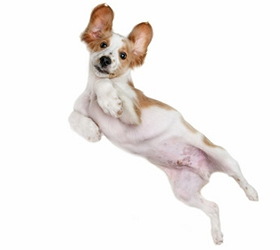 She can be nervous of meeting new dogs so this should be done in a controlled manner. Pie needs a quiet home with at least one other dog where she can get plenty of attention and will be given the time and space to show her personality. Lots of new experiences in a controlled environment. Pie is not neutered as she has just come out of season so commitment to neuter will be required and followed up. She is chipped, vaccinated and up to date with her flea and worming treatment. Potential adopters will be expected to travel to meet her in her foster home in Rhondda, South Wales. If you are interested in adopting Pie please read about our rehoming process and complete a Pre-Adoption form ( link here ) and one of our adoption coordinators will contact you for a chat.